It is said that Caucasian design Peshawar oriental rugs are mainly exported from Pakistan and Afghanistan, often made by Afghan weavers in their homes. 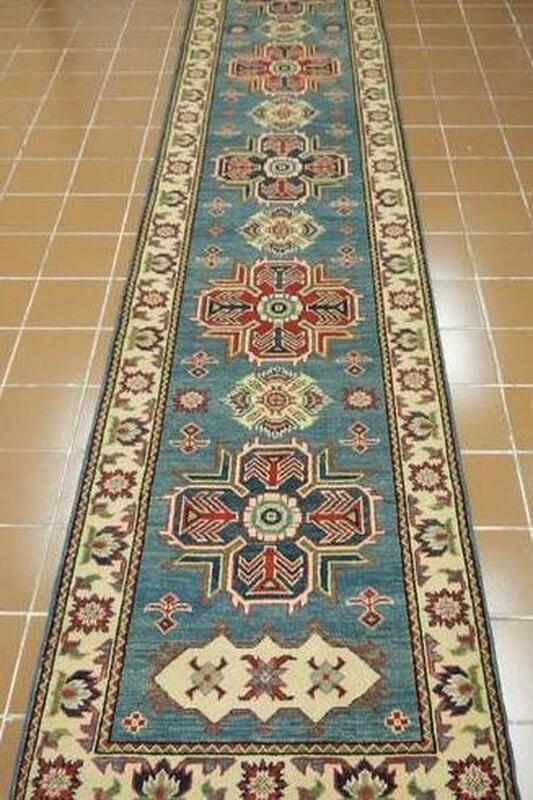 These rugs are sometimes referred to as "pak caucasian" rugs or as "Kazak" rugs. *Note that our web prices and in-store prices may differ. This is because we have different sales presently active on-line and in-store. These discounts cannot be combined. See in-store for details. **We also offer carpet services! Call us to learn about professional cleaning, installing underlay, and rug repairing/restoring.